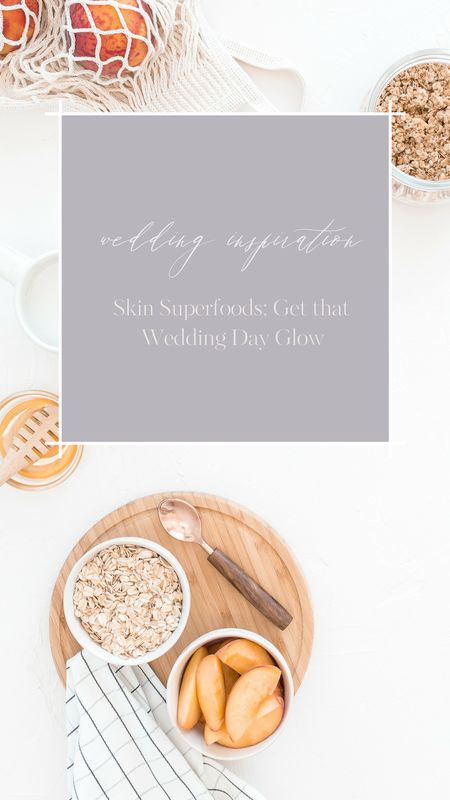 Every bride wants a glowing complexion on her wedding day. Like it or not, you’ll be in the spotlight and photographed like crazy. Why not look and feel your absolute best? Before you drop dollars on an expensive skin regime, remember that the top complexion cures still come from the most natural sources – the food that we eat. According to Dr. David Bank, a dermatologist in New York, studies are increasingly finding links between certain nutrients and wrinkle reduction, radiance, and acne prevention. Bottom line for the bride: you are what you eat. Nourish your skin from the inside with these 5 skin superfoods! Packed with polyphenol antioxidants, pomegranates fight free radicals and regulate the skin’s blood flow, giving it more radiance. Enjoy a couple glasses of juice per day, or dig in to an entire pomegranate! Salmon is amazing for many parts of your body including your heart, bones, colon and brain. Being rich in omega-3 fatty acids also makes salmon excellent for fighting inflammation, wrinkles and acne. Moreover, the high omega-3 content keeps your scalp hydrated and promotes stronger, shinier hair! Steel-cut oatmeal is less processed than other varieties, so it retains more vitamins. It also takes longer to break down in your body, which is great for regulating blood sugar. This is important because studies have found that spiked blood sugar elevates your body's level of androgens, hormones that contribute to wrinkles. Foods like walnuts are rich in omega-3 essential fatty acids, which can improve skin’s elasticity. These nuts are also loaded with copper, a mineral that boosts collagen production. Snack on a handful each day and your skin’s texture may improve! Chocolate for the win! Dark chocolate is rich in antioxidants, fatty acids and flavanols that foster healthy skin. The antioxidants in dark chocolate will help reduce roughness in your complexion and protect it against sun damage. Cocoa also relaxes arteries, increasing blood circulation that leads to healthier skin. A healthy diet is a sure way to nurture your body, brain and skin before you tie the knot. High-end treatments may work for skin repair and maintenance, but you’ll benefit more by tossing those yummy superfoods into your grocery cart!